[Free Pattern] Gypsy Rose Blanket Is Amazing! This post has been requested by many readers of this site. Most of the instructions for patters and most of the video tutorials come with instructions for the right handed people. I assume, the reason why this happens is because many crocheters and instructors are right handed. There are fewer instructors who made available tutorials and instruction for left handed people. Donna Wolfe from naztazia.com is one of them. Her video tutorials and patterns are amazingly easy to follow and understand. 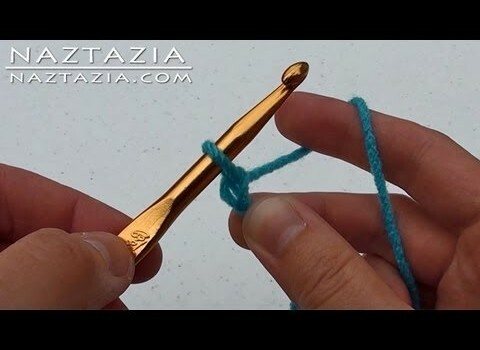 She has uploaded on her YouTube channel many video tutorials for the left handed crocheters and wanna-be crocheters, those who want to learn to crochet left handed. Go ahead and follow the link to the next page for the video tutorial. Yes what I’ve been looking for! Yep…I’m a lefty and it is definitely a challenge following right handed patterns. .. Thanks Lisa. I will have to try this out. I found the left handed directions to be very confusing. I used the right hand directions and have not had a problem with them. Perfect timing! Im right handed and my left handed son asked me to teach him. Left handed is how I crochet. Always have and no, I’m not left handed. Im predominantly righ handed.